When it comes to coaching, Ernie Moore has done it all. At various times, Moore served as coach of Doylestown High’s football, basketball, baseball, track and volleyball teams. He was able to garner titles in baseball, basketball and track. Moore was quite a basketball player in his youth. He picked up All-State honors in West Virginia at tiny Harrisville High in 1941, when only one team was named for all classes. His Second-team berth made him one of the top 16 players in the state. After college at West Virginia University, where he acquired both his B.S. and M.S. Degrees, Moore moved to Ohio’s Holmes County, where he served as head basketball coach at Lakeville High. After moving to Doylestown, Moore’s coaching versatility became apparent. His baseball team won the County title in 1956, and in 1957, the Moore coached basketball Chipps copped the County and Ashland Sectional crowns. His track Chipps won six straight County championships. Moore’s love of track and volleyball went beyond coaching. 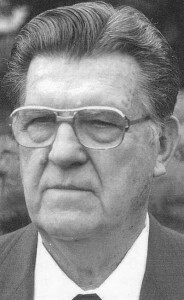 He ran many track meets, and Chippewa High’s Ernie Moore Relays are named in his honor. He also founded the Chippewa Invite for volleyball and ran it for more than 20 years. Moore also found time to officiate basketball for 35 years and served as president of the Wayne County Officials Association in 1970-71. In 1980, he received the Service Award from the Greater Akron basketball Officials Association. Moore still resides in Doylestown, where he remains active in local affairs.